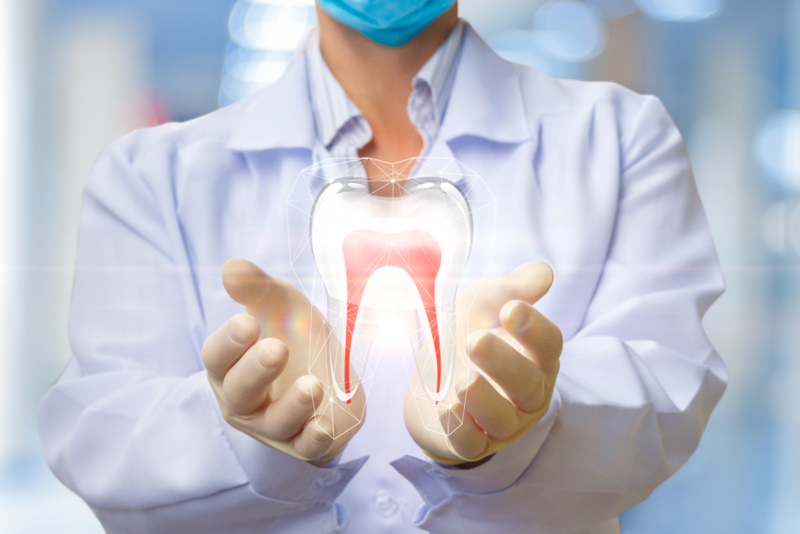 Here at Dental Innovations, we care about our patient’s whole health with a focus on their oral health. So, how can the mouth affect the body? The mouth is directly connected to the body and when it is unhealthy, it could exacerbate health conditions such as diabetes, high blood pressure, cardiovascular diseases, and even pregnancy. In pregnant women, periodontal bacteria, if left untreated, could cause low birth weight or preterm labor. Having a healthy mouth is crucial to overall health and our team is here to help. This preventative practice tends to throw off some patients, but our patients here at Dental Innovations look forward to our thorough examinations. Blood pressure is taken at every visit to ensure the safety and health of our patients. Blood pressure can have a impact on your dental treatment and it usually helps us provide you with the appropriate treatment measures to keep you comfortable and safe. Many visit their dentist’s more than their physician, so if we can help save a life or help you live a healthier one…why not do it? Thorough oral cancer screenings along with proper head-neck exams should be a part of every dental office’s routine check-ups, but unfortunately not many take the time to do them. Here at Dental Innovations, we see this as our responsibility to our patients to help them live a long and healthy life. Oral cancer and head-neck cancer, when diagnosed early can have approximately an 80% success rate! Diet tends to get overlooked when talking dentistry, but diet actually is a very important factor in ensuring good oral health. Our team takes the time to have a discussion with you if they see unusual oral patterns or if patients have any concerns. Acidic diets and high sugar diets cause harmful bacteria to flourish in the body and in the mouth. We will suggest reasonable changes to help you keep a balanced diet and propose ways to help prevent tooth decay and gum disease. Some medications also have negative effects on oral health causing dry mouth, acid reflux, or inflammation of the gums. We review your health history and medication list at every routine visit to help you keep your mouth healthy! Saliva testing can be used to identify and monitor your potential for cavity development, and more. Because it’s non-invasive, it is an exceedingly simple test to carry out, and one that could tell you a lot about your body and your individual needs and risks. Are you interested in benefiting from whole-body dentistry? Are you searching for whole-body dentistry in Lincoln Square, Chicago? The professionals at Dental Innovations would love to see you. Our team will pay close attention to not only your teeth, but to the rest of your body as well.